If you or one of your loved ones was arrested for drunk driving in Manhattan, Brooklyn, or Queens, it’s critically important that you are represented by a tough and knowledgeable DWI defense attorney. The penalties for a DUI conviction in New York are harsh, and may include jail time, costly fines, long-term license suspension, mandatory driving safety classes, and other negative consequences. If your occupation involves driving or operating heavy machinery, you could even lose the career you’ve worked so hard to build. If you’ve been charged with DWI or DWAI with drugs or alcohol in New York City, you need an aggressive criminal lawyer to protect your rights, your reputation, and your freedom. Don’t wait to start reviewing the potential defense strategies that may be available to you. To set up a free and completely confidential legal consultation, call the law offices of Sullivan & Galleshaw right away at (800) 730-0135. 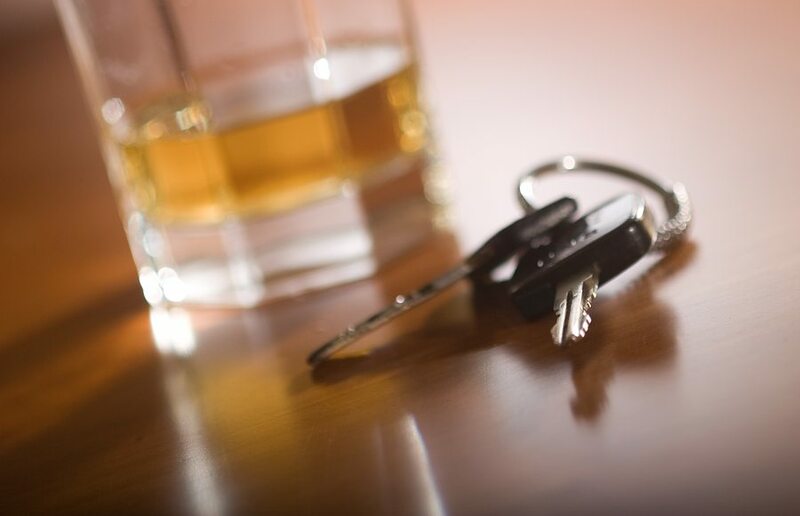 When Can You Be Charged with DWI or DWAI Under New York VTL 1192? Most states use the term DUI, which stands for driving under the influence, to describe drunk driving. New York uses the term DWI, or driving while intoxicated. New York also recognizes a related offense called DWAI, or driving while ability impaired, which is classified as a serious traffic infraction. Underage DUI, or drunk driving under the legal drinking age of 21, is charged under a separate statute, NY VTL § 1192-a. In most cases, a person can be arrested for DWI in New York with a BAC (Blood Alcohol Content) that meets or exceeds 0.08%. However, certain drivers are subject to lower limits. For example, commercial drivers like professional truckers can be charged with DUI for having a BAC of just 0.04%. Additionally, under Zero Tolerance laws, the limits for minors are even stricter. In New York, drivers under the legal drinking age of 21 can be charged with DUI for operating a motor vehicle with a BAC as low as just 0.02%. The BAC threshold for DWAI is lower than it is for DUI. While DWI is generally charged due to a BAC of 0.08% or greater, a person can be arrested for DWAI if their BAC is between 0.05% and 0.07%. Aggravated DWI, which is the most serious type of DUI offense, is charged under NY VTL § 1192(2-a) when the driver has a high BAC of 0.18% or greater, or commits DUI with a passenger aged 15 or younger. Driving while intoxicated with a child passenger is a violation of Leandra’s Law, which was introduced in 2009 after the DUI-related death of Leandra Rosado. The driver’s BAC at the time of the offense. Whether the driver was at least 21 years old at the time of the offense. Whether the driver has a history of offenses. Whether anyone was injured in the incident. Whether the driver violated Leandra’s Law. New York imposes the following DWI penalties for non-commercial drivers who are at least 21 years old. A first-offense DWI or aggravated DUI is a misdemeanor, but subsequent offenses are charged as felonies, which are even more serious. As for driving while ability impaired, there are actually three separate DWAI charges: DWAI with alcohol, DWAI with drugs, and DWAI with a combination of drugs and alcohol. These distinctions are important because the substance or substances involved in your alleged DWAI incident affect the penalties you face, as explained below. What Are the Consequences if You Refuse to Take a Breathalyzer Test for Drunk Driving? Many people believe that if they can avoid a breathalyzer test, the police will not see their BAC and will therefore not be able to make an arrest. However, this line of thinking is defeated by a little-known law called implied consent. Implied consent means that from the time a driver earns his or her license, he or she automatically gives “implied consent” to future chemical tests, such as breathalyzers. If a driver breaks that consent, he or she can face consequences similar to those which would be imposed for an actual DWI. For a first offense, these penalties can include at least one year of license revocation and a $500 civil penalty which must be paid before you can apply to have your license reinstated. For a second breathalyzer refusal in New York, penalties increase to a fine of $750 and at least 18 months of license revocation. A commercial driver will lose their CDL permanently if they refuse a chemical test for a second time within five years of a prior charge involving DUI or chemical test refusals. The New York DUI attorneys of Sullivan & Galleshaw have over 30 years of experience handling a wide variety of misdemeanor and felony drugged driving and drunk driving cases, including cases involving high BAC, repeat offenses, DWI with injuries or property damage, and DUI resulting in death (vehicular manslaughter). We will always keep your information private, and your first consultation is completely free of charge. The charges against you are serious. It is vital that you move quickly to start assessing potential defense strategies, such as inaccurate breathalyzer readings or violations of your Constitutional rights. Call the law offices of Sullivan & Galleshaw right away at (800) 730-0135 for a free and confidential case evaluation regarding you or your family member’s drunk driving charges in New York City.